How to Make Notes Private on iPhone/iPad? How to Delete All Emails on iPhone? How to Delete Duplicate Photos on iPhone? I have an iPhone 6 ( iOS 10.3.1) and I have clicked on (what seems to be) a virus, malicious website. How likely is it that my iPhone got a virus? And how to check if my iPhone has a virus? Thank you. Smartphones nowadays are just as vulnerable to viruses and malware as regular computers. This is because malware is often used to gain access to the private information and data of the user. Since your iPhone contains a lot of your personal and private data, it is crucial to make sure that it is free from viruses and malware. Part 1. How to Tell if Your iPhone Has a Virus? How to Tell if Your iPhone Has a Virus? As mentioned above, making sure that your iPhone is free from viruses is crucial so that you can rest easy knowing that your privacy isn't at risk. The most important step is to find out that your iPhone has a virus. There are a number of symptoms that indicate the presence of the virus in an iPhone. Read below to learn about how to tell if iPhone has virus. If your data usage is higher than usual and the data is depleting rapidly, then it may be a sign of the virus in your iPhone. Viruses run in the background and also communicate with the internet which ultimately leads to increased data usage. It could cost you a lot of money particularly if you don't have an unlimited data plan. This is because all your data is wasted by the virus and you have to buy extra data in order to continue using the online services. Apps on your iPhone aren't supposed to crash unless there is a problem. If your apps have suddenly started crashing, then it could very well be due to the presence of the virus in your iPhone. This is because most viruses temper with the regular operations of the device and cause the apps to crash without explanation. A lot of websites have pop-up ads. However, if your iPhone is infected, then you will start seeing pop-ups all the time, especially for services or products that seem suspicious. If that is the case, then you should check for a virus. It is also recommended that you don't click on the links shown in the pop-up ads. These ads are designed to infect your device and make it even sicker. Crashing apps and ads are annoying but unexplained charges and mysterious billing are worse. If your iPhone is infected by virus, you will start to find unusual charges particularly in the 'SMS' category. This is because most malware and viruses send messages to premium-rate numbers. Since the virus runs in the background all the time, it consumes a lot of resources. This leads to increased battery drain because your iPhone is using more data and CPU. Like actual viruses, malware is also heavy on the device's resources and can leave your iPhone's body completely exhausted. It is recommended that you check battery usage of your iPhone and find out which apps are using the most power. If you see an unfamiliar app using the battery, uninstall it immediately. You may be thinking about using an antivirus app to get rid of the virus and malware, but sometimes that is not enough. You must completely erase your iPhone to get rid of the virus. It is recommended that you use iMyFone Umate Pro to completely reset your iPhone and erase all its data permanently so that the virus does not revive afterwards. Umate Pro meets the US.DoD 5220.22-M standard which means that any data removed via this software is permanent and cannot be recovered, including the Virus. 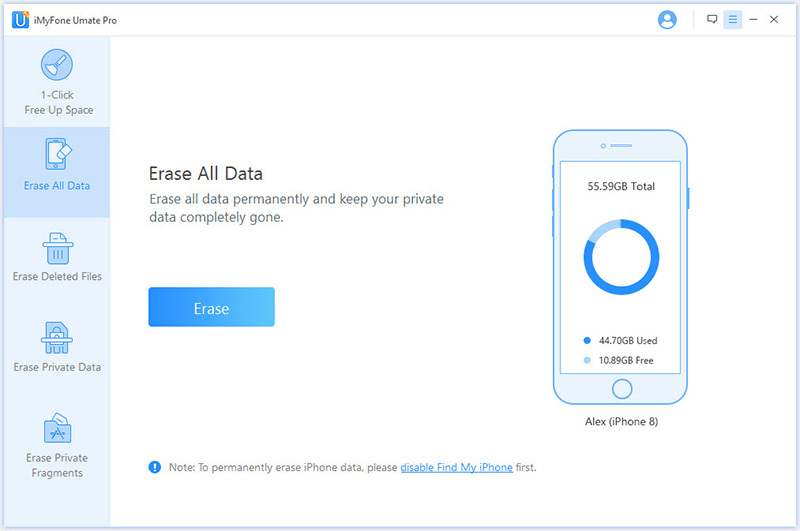 Erase All Data will completely wipe the whole iPhone without any chance of recovery. 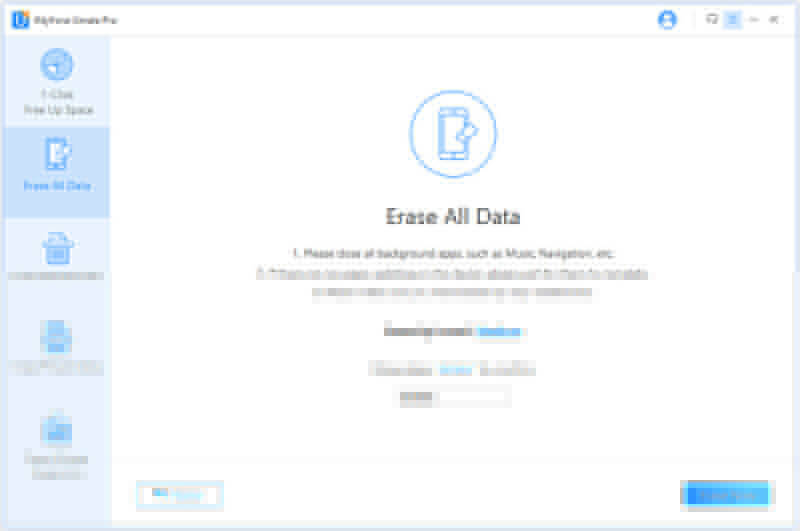 Erase Private Data allows you to preview and select unwanted data to completely erase. Erase Deleted Files allows you to view previously deleted data that still remains and wipe it from iPhone and drive. Erase Private Fragments gives you chance to secure your Snapchat, Facebook, WhatsApp, Chrome, and other 3rd-party apps experience. Preview files before erasing. So that you can delete the files selectively. A great amount of professional software review sites recommend iMyFone Umate Pro to protect privacy, including MacWorld, APPKED, iPhoneinCanada etc. 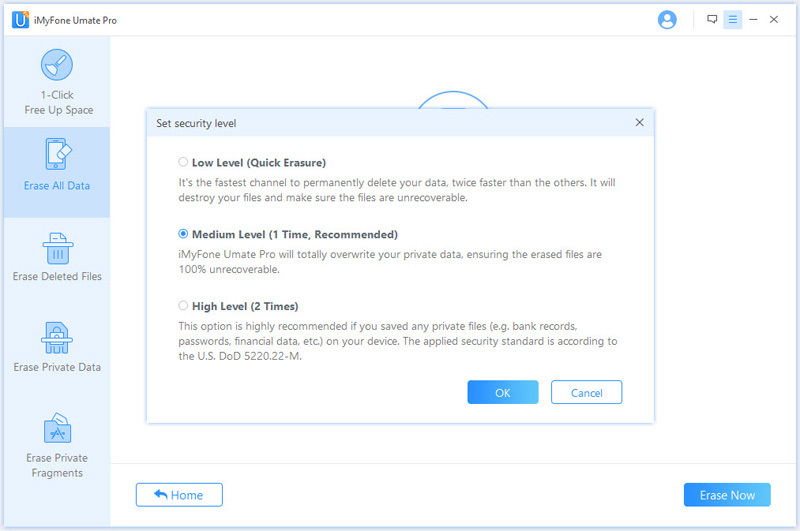 First, install iMyFone Umate Pro on your Windows or Mac computer. Step 1. Launch Umate Pro on your computer. And connect your iPhone. Step 2. Select Erase All Data from the list of tabs on iMyFone Umate Pro. Then click the Erase button shown on the next screen. Step 3. Select the deletion Security Level. You can choose from Low, Medium, and High. Since you are erasing data to get rid of the virus, it is recommended that you choose High Level. Step 4. Input 'delete' in the textbox and then click Erase Now button to start the deletion process.